North Carolina’s 53,821 land area is home to various agricultural businesses related in the field of tobacco production, hogs, milk, cattle, soybean, and others. The 12th state to be inducted in the country also consists of 100 counties that can give you a wide range of scenic tourist attractions. Home to the oldest state university in the country (University of North Carolina Hill), the state is also the place where great basketball figures of today made their first mark (Michael Jordan, Larry Brown, Rasheed Wallace, Raymond Felton, Jerry Stackhouse, Rick Fox and others), players who have changed the face of the world-renowned sport. It is also the place where Krispy Kreme Donuts, one of the world-renowned donut brands, started before going main-stream to millions of customers all around the globe. There’s basically three important rules when it comes to moving and relocation. The first one is- always start early. There are many things that you can rush in life, however, a relocation is not one of them. 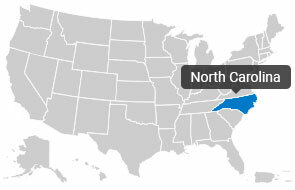 If you’re thinking about relocating to North Carolina or transferring somewhere within it, you have to start planning as early as possible. This way you can get early booking discounts, and avoid unwanted stress. This will also give you enough time to pack and set your affairs in order. The second one is- be organized. Nothing is more chaotic than a move that happens without a plan. Organization is the key to a happy move. This covers creating a timetable that will map out your schedule until moving day, making an inventory list of your possessions, and creating labels for everything so you can unpack easily once you arrive at your new home. The last rule is- hire a reliable moving company. A good moving company can really make your North Carolina move easier. With the equipment, manpower and expertise of professional movers, you’ll save time and a lot of effort. Now we need to follow up the last rule. What comes next is looking for quality movers. The answer lies in Top Mover Quotes. TMQ is the leading source of online moving quotes today. Using your computer, tablet or smartphone, you can easily find your perfect moving partner with our help. Our company is affiliated with the best movers in North Carolina and we’ll ensure that you get the most competitive prices today. Try out our free service! Fill out our form and let Top Mover Quotes do the hard work for you. Located in Lincolnton, NC, Panther Van Lines is the Southeast's premiere moving and storage company. We are a full service moving company with a solid reputation in both residential and corporate moves. Whether moving down the street, across town, or across the country, we are the perfect choice for your moving needs. Here is a list of our services: packing, unpacking, baby grand piano moving, crating, provide box and packing supplies, guaranteed pick-up & delivery dates, emergency moves and climate controlled storage for short and long term. Our 22,000 square foot storage facility is fully protected with round the clock security. Your possessions are stored in individual units that are safe, clean, and climate controlled. Call today for moving and storage rates. Established in 1996 In 1996, we started out with 1 truck and 2 employees. We now have 4 trucks and 12 employees and many satisified customers. Meet the Business Owner: Todd S.
As a former Plant Engineer for several large furniture companies, I have a passion for furniture. My role has changed somewhat, but my knowledge of furniture has enabled me to implement safe moving techniques that is not only good for my employees, but good for your furniture. Established in 1907 Carey Moving & Storage provides residential moving, commercial moving, corporate moving and special shipping across the nation. We're relocation movers for interstate, intrastate, local, international, special projects, office & industrial, and storage.